The International Hockey Federation (FIH) has officially launched pre-registration for tickets for the 2018 Hockey World Cups taking place in England and India next year. With demand for tickets set to be high, by signing-up, fans will be kept up to date with all the latest news from both events, including key ticket dates, pricing and any exclusive offers over the coming months. To celebrate this launch, FIH is offering fans who pre-register for tickets between 5-30 April 2017 the chance to win limited edition Adidas World Cup Hoodies as part of a social media competition across FIH Twitter, Instagram and Facebook channels. Tomorrow England Hockey launches a Hockey Family priority access window offering members of hockey clubs affiliated with England Hockey and previous international match purchasers the first opportunity to secure a limited amount of tickets, from 6-24 April 2017. This follows confirmation of the women’s World Cup session schedule which can be viewed on the official website here. Then, in August, England Hockey will run a public ballot placing those who apply into a draw for their selected tickets, in order to meet the massive demand which is expected for the event. In launching the new websites, two brand new logos for the Hockey World Cups were also revealed, based on the historic trophies presented to the winners of both competitions. Whilst the men’s Trophy is regarded as an iconic prize in international hockey, the women’s trophy is currently undergoing a transformation to enhance its stature in-line with hockey’s proud value of being ‘Equally Amazing’. 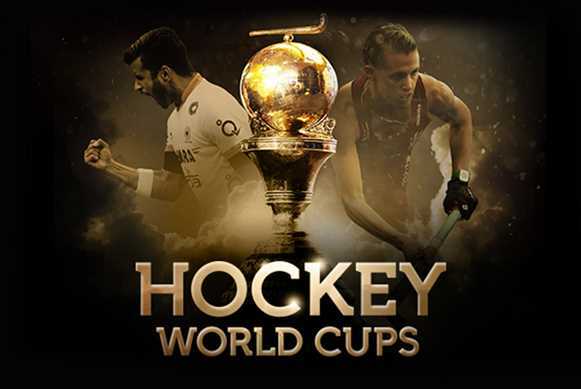 The story behind this and the history of the men’s trophy, plus information about the host cities and key statistics about the World Cups will help fans get excited as the official countdown to hockey’s two legendary events gets underway.